The Climate Change issue may very well represent the biggest deception in the history of mankind – one sold to gullible individuals and elite multimillionaires. The same wealthy globalists that have exploited our economies have also taken advantage of the scientific ignorance of our populations. Scheduled for today, Monday, April 27, a slate of independent scientists and policy experts will offer a “prebuttal” to what will follow tomorrow when the Vatican’s Climate Summit takes place. It is then that scientists and policy experts will lay out a detailed case explaining why climate science does not justify the Holy See putting his faith in the work of the United Nations’ Intergovernmental Panel on Climate Change (IPCC). When was science changed to a democratic vote by the majority based on flawed reports circulated by the United Nations’ Intergovernmental Panel on Climate Change (IPCC). The science currently taught in schools comes from politicians and the media’s reliance on junk science, such as spread through Al Gore’s movie, “An Inconvenient Truth.” A large number of scientists throughout the world have been skeptical about global warming for years, and with good reason. CO2 levels on earth have in the past been four to eighteen times the current readings. Global climate has warmed since the Little Ice Age (1400 to 1700 AD). The first warming period occurred between 1900 and 1945; the second in 1975 until 1998, and then stopped and began falling again after reaching a high of l.l6 degrees F. above the average Global Mean Temperature. There hasn’t been any warming since 1998. It is important to understand that the information being accepted as indisputable truth comes from IPCC reports based on computer models. The actual temperatures measured by both satellite data and independent balloon data show a near zero trend from 1979-1997. We don’t need to lower carbon dioxide emissions to protect nature. After all, it is essential gas for life. How ignorant have we become that we can be so easily deceived? The only reason global elitists fight for environmental regulations like Cap and Trade is to expand their control over the world economy and impose their political and social views. Are we not seeing enough already of how well the global elitists have so far managed the world? In what has become a political issue, an encyclical by Pope Francis to influence climate talks in Paris at the end of the year is unbecoming and unwarranted action for Pope Francis, as the leader of the Catholic Church world-wide, or for any church to be engaged in. May the Pope’s mind be open to reason when climate scientists today and tomorrow bring a message of truth to the Vatican and the Pope that science is not settled, and that global warming is not a crisis, both of which the Pope accepts as true and indisputable. On this topic, IR contributor Nancy Thorner collaborated with Elvira F. Hasty, PhD, a retired chemistry professor living in Florida. Can a conservative reformer whose last name elicits a presidential dynasty be elected president, or might, as the baseball analogy goes, “Three strikes and you’re out” be the call many voters will make when considering Jeb Bush as their 2016 presidential candidate choice? The three strikes analogy refers to the positions held by Jeb Bush on the issues of amnesty, Common Core, and climate change. It was Bush who urged House Republicans to vote for the Senate’s ‘Gang of Eight’ comprehensive immigration bill which included a pathway to citizenship for nearly all of the country’s illegal immigrants. Last year Jeb referred to illegal immigration is an “act of love,” and proposed giving illegal immigrants provisional work permit after both taxes and fines were paid so they could earn legal status, but not citizenship, over an extended period of time. Immigrants are needed to “work in our farms” to “deal with shortages that are chronic” in jobs he claimed Americans will not do. Despite evidence to the contrary, Bush also claimed that “we have shortages of IT workers” and supported increases in high-tech related immigration. Bush also said the country had to first “control our borders” and “deal with the 40% of illegal immigrants that come with a legal visa and stay.” He supported an “e-verity system that is verifiable” and called for eliminating President Barack Obama’s executive orders, while at the same time calling on Republicans to confirm Obama’s attorney general nominee, Loretta Lynch. A dichotomy exists: Although Jeb Bush indicated that he wanted to eliminate President Obama’s executive orders, he had the audacity to join hands with Senate Minority Leader Harry Reed when requesting that Mitch McConnell push Republicans to surrender to the confirmation of Loretta Lynch as Attorney General. As Bush remarked, “The longer it takes to confirm her, the longer Eric Holder stays as Attorney General.” Didn’t Republicans demolish Democrats last November largely because they vowed to fight President Obama on a number of issues, one of them being the amnesty issue? McConnell specifically promised that if voters put Republicans in charge of the Senate, there would be no vote to confirm any Holder replacement who supported Obama on amnesty. Challenged by Republicans at a hearing into her appointment as the nation’s first black female attorney general on Wednesday, Jan. 28th, the Attorney General nominee, Loretta Lynch, defended President Barack Obama’s decision to shelter millions of immigrants from deportation living in the country illegally. Lynch did say that illegal immigrants have no right to citizenship under the law, but will her tune change now that her nomination was confirmed? After much delay, on Thursday, April 23 the Senate voted 57 – 43 to confirm Lynch as attorney general, clearing the way for her to become the first African-African woman to ever serve as the nations’ top law enforcement official. Senator Mark Kirk of Illinois was first to announce earlier this month that he would vote to confirm Lynch. These nine Republican senators joined Kirk in voting to confirm Loretta Lynch: Majority Leader Mitch McConnell (Ky.), Kelly Ayotte (N.H.), Thad Cochran (Miss. ), Susan Collins (Maine), Jeff Flake (Ariz.), Lindsey Graham (S.C.), Orrin Hatch (Utah), Ron Johnson (Wis.) and Rob Portman (Ohio). All 46 Democrats backed the president’s pick. With the defections on the Republican side, the 50 vote threshold was easily achieved. It is telling that Chicago’s Democrat Rep. Luis Gutierrez, a strong supporter and activist for amnesty, backs Jeb Bush in the Republican Presidential Primary. What about Jeb Bush’s ties to Common Core? According to a Sept. 20, 2013 report by Michelle Malkin, Jeb’s group, the grand sounding “Foundation for Excellence in Education”, is tied at the hip in the federally funded testing consortium PARCC (Partnership for Assessment of Readiness for College and Careers), which raked in $186 million through “Race to the Top” to develop nationalized tests aligned to the Common Core program. Furthermore, one of the Bush Foundation’s major corporate sponsors is Pearson, the multi-billion educational publishing and testing conglomerate. 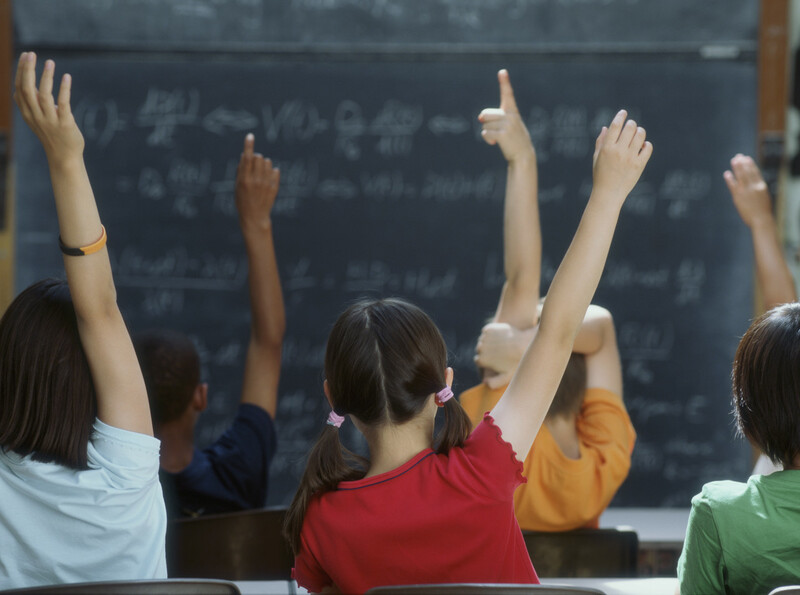 Pearson snagged $23 million in contracts to design the first wave of PARCC test items. Pearson just happens to have a $250 million contract with Bush’s home state of Florida to design and publish its state tests. 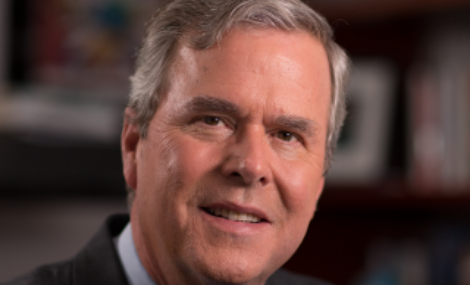 On January 1st, Jeb Bush announced that he was ending all his relationships with several corporations and nonprofit organizations, including his own K-12 advocacy group, the “Foundation for Excellence in Education.” This was roughly two weeks after Bush had made know that he was creating an exploratory committee for a potential run for the White House. According to Bush’s aides, Jeb was leaving these groups in order to focus more time on politics, although Bush’s decision could very well have been an attempt to disentangle himself from relationships that could complicate his potential run for the White House. Two years ago critics did allege that the Jeb Bush foundation inappropriately lobbies and influences state education leaders on behalf of for-profit entities, particularly digital education services. Bush likewise ended his relationship with Academic Partnerships, a company that has converted over 4,000 courses to online formats in over 3000 undergraduate and graduate degree programs. According to the company’s website, Jeb Bush earned $60,000 a year as a paid adviser and also owned a small share of the company’s stock. It seems obvious why Jeb Bush is such a zealot advocate for Common Core. Just follow the money. For anyone whose head isn’t buried in the sand, Common Core is a left-wing education dream that depends on federal funding to serve as a pathway to indoctrinate children. This is not unlike the way Saul Alinsky choreographed the silent revolution. What about Jeb Bush’s position on Climate Change? While Bush did not directly admit in New Hampshire that he believed climate change was man-made, he did call for the need to reduce industry-produced carbon emissions as a way to address the climate change issue with the rest of the world. Raising a red flag with me was Bush’s admission that he considers the climate change issue to be valid, and that his is a world-wide view when it comes to reducing carbon emissions. Like his father and brother before him, Jeb Bush is likewise a globalist. For insight into the Globalist Agenda and How the Elite Control your Mind and Your Life, check this site. An elitist believes that the world is simply consuming too many resources, resources that belong to them and their descendants and consequently, as outlined in the UN Convention on Biological Diversity and Agenda 21, we must return to a form of feudalism and into a post-industrial era. It was Jeb’s father, along with 177 other world leaders, who signed the initial agreement to adopt the goals of the United Nations “Agenda 21” program at the “Rio Earth Summit” held in Brazil on 1992, with its 21st Century agenda to implement global “sustainable development” that called for environmental protectionism such as what is now being mandated by the Obama administration to curtail global warming. The Intergovernmental Panel on Climate Change (IPCC) is the leading international body for the assessment of climate change. Its reports predict dooms-day-like scenarios for the world, unless measure are taken to curb man from polluting the atmosphere though the continued use of fossil fuels. IPCC reports have been viewed as true and indisputable by all presidents since G.H. Bush. IPCC reports have further served as the impetus behind having CO2 declared as pollutant by the Obama administration to regulate CO2 emissions. Jeb’s belief that carbon emissions and climate change go together and that man can control the climate by calling for a reduction of carbon emissions, does not bode well for this nation should Jeb ascend to the presidency. Bush, as a globalist, is also out-of-step with the way many Americans view climate change. According to a recent Gallup’s Environment Survey that has been conducted annually since 1989, and despite the greater media and political attention being paid to climate change, Americans’ concerns about the environment are waning with safe drinking water topping their list of environmental concerns at 55%. Climate change comes in dead last at 31%. Neither is it true, despite numerous news reports, that 97% of scientists agree human activity is causing a climate crisis that demands we move on to government directed “solutions” to the crisis. According to an article by Kurt Nimmo, Jeb Bush is not is own man. Jeb is in sync with his brother G.W. in advocating for government control of education, the environment, and amnesty for illegals. In foreign policy, Jeb’s team includes the same neocons that advised his brother, and even Ronald Reagan. Topping the list is Paul Wolfowitz. As a seasoned globalist, Wolfowitz also served as president of the World Bank. Other crossover neocons and insiders cited include Stephen Hadley, Robert Zoellick, James Baker, and George Schultz. What if 2016 ends up as a choice between Jeb Bush and Hillary Clinton, both globalists? Unlike Democrats, Republicans will have a great many candidates to choose from in their primary elections. May Republican voters be wise enough to select a candidate, who is young, fresh and not connected to the powerful family ties of the Bushes, whose roots speak of elitism and devotion to the concept of the U.N’s New World Order. This might be difficult to do as the Republican establishment and the kingmakers of today are even now behind Jeb Bush, as yet an unannounced candidate, but it must be done. The scientific debate over global warming is not over. According to the latest Rasmussen Reports national telephone survey, only 20% of likely U.S. voters believe the scientific debate about global warming is over, while sixty-three percent (63%) disagree and say the debate still continues. Seventeen percent (17%) are not sure. (To see survey question wording, click here.) Neither is it true, despite numerous news reports, that 97% of scientists agree human activity is causing a climate crisis that demands we move on to government directed “solutions” to the crisis. For additional information to counter those who are trying to force the general public (and school children) to accept climate change as a catastrophic future happening, the Nongovernmental International Panel of Climate Change (NIPCC) has produced a series of comprehensive research reports and easy-to-read summaries addressing all aspects of the scientific debate over global warming. Recently, the Intergovernmental Panel on Climate Change (IPCC) announced for the umpteenth time we are doomed unless we reduce carbon-dioxide emissions to zero. A sure sign that the push by government and other environmental organizations isn’t working, despite frantic efforts to convince the American people that global warming if unchecked will produce all manner of future catastrophic happening for Mother Earth, is that advocates of global warming have started to call for the arrest and punishment of those they label as climate-change liars. Should the enactment of agenda-based political policies mandating the use of renewable energy while curtailing the use of fossil fuels continue to be legislated at the federal and state level, the end results will be higher costs for energy and for all goods we purchase and periods of blackout when existing energy supply cannot meet demand. To most Americans the continued obsession over the effects of manmade global warming when in reality man has little if any ability to control the climate, should be a no brainer. It you are not yet convinced that climate change (global warming) is mostly natural and not man-made, here are 100 reasons released by the European Foundation that should convince all but the most ardent Climate Change believer that man cannot control the climate. Consider that man-made carbon dioxide emissions throughout human history constitute less than 0.00022 percent of the total naturally emitted from the mantle of the earth during geological history. Through the process of elections, American citizens can replace administrations and legislators who advocate for faulty and unrealistic measures that breed economic disaster. But what about our children, who, through no choice of their own, are being schooled in a global warming doctrine that is linked to a political agenda that is all about power and control. Bravo to the state of West Virginia, but it is unrealistic to believe that Illinois will respond willingly in a similar way. West Virginia has altered its standards for teaching science to introduce doubts about what is incorrectly being described as the “scientific” consensus on climate change that is occurring and greatly influenced by human activity. Parents must know what their children are learning and reteach faulty information if necessary. Attend school board meetings to confront your school administration about Common Core Curriculum guidelines for Science, Math, Language Arts, and History. By all means contact your state legislator to advice that Global Warming (also known as Climate Change) is at best a hypothesis which would only further exacerbate the dismal economic conditions that now exists in Illinois if followed through. 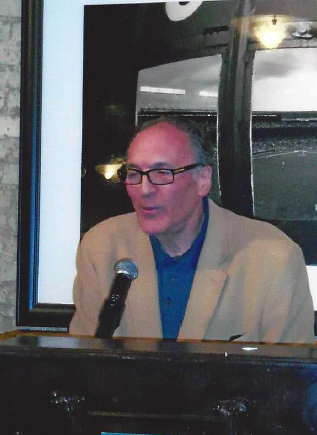 The bill Scott Drury is proposing for Illinois must be stopped. It is bad for Illinois and must not become law. The trailer for Johan Norberg’s latest documentary was released last year and the documentary itself will premiere on the WORLD Channel Monday, April 27. The effort explores how innovation and new technologies are meeting our world’s growing energy needs. Hence, the biggest challenge to be faced, given a world that is literally overflowing with energy, is not insufficient energy supply, but how world citizens will safely convert, store and pay for it. Modern energy sources are something we all need, and more energy sources will be needed in the future. We take for granted that with the flick of a switch there will be power for whatever our needs may require, but we shouldn’t. Power, coupled with the magic of machines — such as the washing machine — made life easier, especially for woman, who then found time to visit the library and to explore other uses of their times, freed as they were from the toil of manual labor. As illustrated in the documentary trailer, the thirst for energy in developing countries will only grow as economic freedom spreads. People there see how we in the west live and refuse to be left behind. This, in turn, presents an incredible challenge to man- and woman-kind, for as costs rise and concern for climate change increases, these questions loom large: How are we going to maintain our standard of living? How do we reduce our impact on the planet? And how will we get power to ALL the people? In his documentary Norberg travels the world, peeling back along the way the layers of the global challenge of how best to meet the thirst for energy. Often questioned is the conventional wisdom on what works and what doesn’t. Norberg’s journey starts in the Moroccan bazaars of Marrakech, which functioned fine for eons without modern conveniences, but where electric lights, computers, cell phones and credit card readers are now everywhere. Even more telling is Norberg’s journey to a remote Berber village in the Sahara Desert. Few realize that more than half of the world still cooks its food over open flames. This, however, is rapidly changing, including in the before-mentioned remote Berber village where women now cook on gas stoves. Some women even have refrigerators. Those living in Africa without power yearn for a water pump to take showers and to irrigate crops, a refrigerator to store food, electricity for lights, and a phone to keep in contact with the world. To them electricity is not a modern luxury, for without assess to electrical power life and death often hangs in balance. Because animal dung is still used to cook food, the toxic pollution emitted often causes death. Once an African village is electrified, not only does the economy improve, but those in the village experience a new-found happiness. It could be argued that coal plants are bad, but coal isn’t a bad trade off when compared to the deadly pollution of animal dung. “Power to the People” also examines global efforts to solve our energy dilemma. Even the best of intentions sometimes result in unexpected consequences. For example, Germany’s decision to abolish nuclear power and increase the use of renewable energy has sent retail prices soaring. Germany’s cost for energy is now among the highest in Europe. For some citizens its use is now considered a luxury. Germany’s decision to abolish nuclear power and to increase renewable energy has resulted in an actual increase in the use of lignite coal-burning plants. As such Germany learned the hard way that it takes temporary dependence on energy from fossil fuels to build a new clean energy economy. Imposing tariffs on Chinese-made solar panels to protect the German solar industry has also slowed things down. What happened in Germany is a lesson that needs to be heeded. In an effort to pick winners by giving subsidies, Germany found that solutions made from the top-down seldom succeed. It’s also a crappy way to use taxpayer money. What is happening in Germany is the opposite of an energy transition. With the banning of gas and nuclear power, and with the stark reality that the sun doesn’t always shine or the wind blow, Germany must now depend on dirty coal for its energy needs and accept the CO2 that comes with it. So in trying to go green to save the world, Germany had no choice but to revert back to an energy source is had initially deemed undesirable, which, in turn, spiked energy prices. Here in the U.S., Johan Norberg’s documentary explores the great debate in a country whose energy consumption is now only surpassed by China. He reveals, perhaps surprisingly, how cities like New York consume far less energy per capita than the rest of the country. The controversy over America’s promising new energy source in hydro fracking is also examined, as is the folly of top-down government-imposed solutions. It was G.W. Bush who claimed that this nation was on its way to an ethanol era. And it was a great time for corn growers! The continued federal subsidies for corn ethanol have sent food prices soaring, minus the promised renewable energy return. Although daunting, Norberg believes the energy challenge can be met, especially if governments steps back from imposing top-down solutions. Coal, Oil, Natural Gas, Nuclear, Hydro, Biomass, Wind, and Solar must all be in the mix, but each source comes with its own problems. As with most new innovations in technology, the process that led to fracking followed a long series of inventions in the private sector, absent when government tries to make transitions from the top-down, and the very reason why centralization fails. With more people connected to the Internet, at their fingertips is the sum total of man’s knowledge to be explored and expanded. In other words, more eyeballs to look at problems will result in solving problems. In China three billion individuals now have access to the Internet; two billion have the Internet in their pockets. This thirst for energy is sure to lead to energy solutions, especially here in America where American ingenuity and creativity is still very much alive, in contrast to European tradition where top-down decisions are routine and expected. As a companion to the documentary “Power to the People”, an eBook by Johan Norberg has been published which reports on the making of the documentary and the challenges of providing power for an energy-hungry planet. The book is also available in a paperback version on Amazon. Go here for further details. 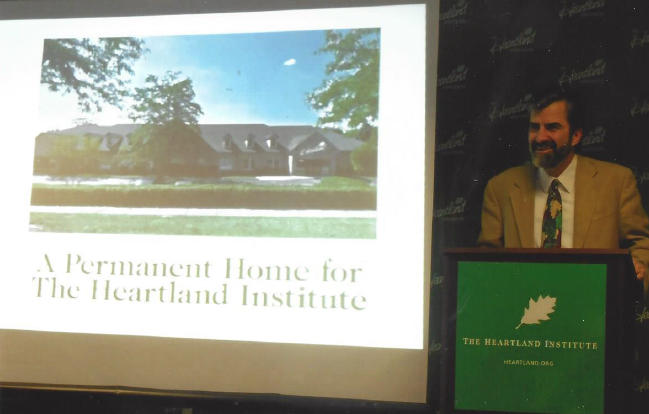 Having celebrated its 30th anniversary last year while occupying leased office space on the 27th floor of one of Chicago’s signature high-rise buildings, Joseph Bast, president and CEO of The Heartland Institute, announced that in June The Heartland Institute will move from Chicago to Arlington Heights (a suburb of Chicago) to a building purchased exclusively to serve as its permanent home and headquarters. CHICAGO – Last Saturday, the Chicago-based conservative group Family PAC Federal hosted newly-elected U.S. Senator Joni Ernst of Iowa. The group, chaired by John McEnroe,has raised nearly $1 million for federal candidates. Preferring not to speak behind a podium, using a hand-held microphone Senator Joni Ernst appeared humble and sincere. She admitted that her life has been quite a journey from where she is now from where she came from. Senator Ernst was born in Southwest Iowa, a very sparsely populated area of Iowa, on a small family farm. She has an older brother and a younger sister. They all pitched in with the chores, which was part of life when growing up in rural Iowa. Her father worked hard and was determined to provide for his family. But when farming hit a rough patch, Jodi’s dad purchased a bulldozer and did construction work on the side. This too became a family endeavor. Through it all Jodi was taught the value of hard work, the determination to see things through, and the value of the dollar. After high school Jodi Ernst went to Iowa State University. While in college Ernst became an exchange student, traveling to Ukraine with 17 other students to spend several weeks on a Ukrainian collective farm. In the evening talk sessions were held, but instead of the conversation centering around agriculture, Joni and her fellow college students were asked questions, such as: 1) What is it like to be an American?, 2) what type of government does America have?, and 3) How was your government formed? Jodi Ernst’s Ukrainian student exchange trip changed the direction of her life. Driven to to do something more for her country, Jodi joined the ROTC and was later deployed to the Middle East for 14 months, where during 2003 and 2004 she participating in Operation Iraqi Freedom. The 1168th Transportation Company of the Iowa National Guard, commanded by Jodi Ernst, drove across Kuwait and southern Iraq transporting materials from May to August 2003. Later in its deployment the Iowa unit served as a protection detail outside Camp Arifjan in Kuwait. As there were no armored vehicles at the time, it was fortunate that the unit had no IDs to contend with. Prayer, however, was essential to Jodi and her fellow deployed Iowa National Guardsmen. Of the150 deployed to the Middle East, all came back home. The fact that all 150 came home safe and sound was a significance and important event in Jodi’s life. Arriving home from deployment, Jodi Ernst became aware of challenges that existed in her home county of Montgomery, Iowa. Accepting a political challenge, Jodi Ernst ran and won her bid for a seat in the Iowa Senate, which led directly to her Iowa U.S. Senate victory in 2014. While serving in the Iowa state senate Jodi observed that a level of respect must be present among elected members in order for an effective and open level of communication to exist. A show of respect by other U.S. senators was apparent when Senator Jodi Ernst, while yet in her first month of serving as a newly elected senator from Iowa, was chosen to give the Republican response to President Obama’s 2015 State of the Union Address. Sporting camouflage high-heels, Ernst referred to herself as “a soldier” in the second line of her speech. 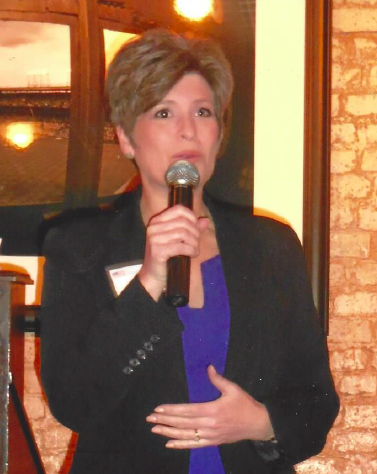 Senator Jodi Ernst’s response to President Obama’s State of the Union Address can heard here. Being a pro-life candidate is a bedrock position for Senator Ernst. 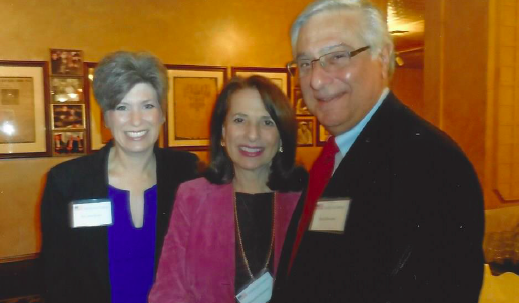 Informed that her pro-life position would sink her candidacy, Ernst stood by her values. Yet Joni Ernst was elected by an amazing majority of 8-1/2 points over her Democrat challenger. In the Senate Joni serves on the Values Action Team with Republicans Tim Scott, Roy Blunt, and James Lankford. Joni’s favorite topic to bring up at meetings is the life issue. Speaking about her first 90 days as a U.S. senator, Senator Ernst related what a remarkable journey it has been. Referring to the Republican-led U.S. Senate approved 2016 budget blueprint that was finally enacted at 3:00 a.m. on Friday, March 27th, after much jockeying and compromise, Senator Ernst applauded the legislation as an important Senate achievement. As remarked by Senator Ernst: “It was the first time in seven years that a budget was passed by the Senate.” It has been reported that the Senate legislation will balance the budget in 10 years without raising taxes, trim trillions of spending dollars, and repeal “Obamacare.” Now the House and the Senate need to reconcile the differences that exist in their bills. The House of Representatives approved its own budget version on Wednesday, March 25, a nearly $3.8 trillion plan which eliminates the federal deficit in nine years and slashes $5.5 trillion in spending over a decade. Senator Ernst spoke of an effort made by senators to raise military spending, but because the sequester caps are still in place for the Department of Defense, military spending can’t be increased as long as the caps are in effect. Question 1: Our debt is $18 trillion, yet it’s more like $120 trillion. Why don’t we hear more about our massive debt level and what will be done about it? The unfunded liabilities of Social Security, Medicare and Medicaid are now on auto pilot. They are not budgeted. This must change. Disability payments have only two more years to go before the system is broken. Hard decisions lie ahead if programs are to be funded. Question 2: What do you think of the League of Women Voters? Don’t worry about the group. To Hillary it’s not enough to just be a woman. You also have to care about women’s issues. But don’t most women care a lot about education for their children, jobs and the economy, national security, and getting rid of Obamacare? Senator Ernst linked the appeal of the League of Women’s Voters to those voters who accept there is a war on women. A plaque was presented by Anthony “Tony” Nasharr of Wounded Heroes Foundation Inc. to Senator Jodi Ernst to honor her military service and dedication to country.